Six members of the Sheridan High School debate team competed at the 2016 Arkansas Tournament of Champions, held in Little Rock on April 1-2. Catherine Anderson took 1st place in the Novice division, and Jake Cook was a quarterfinalist for the Novice division. 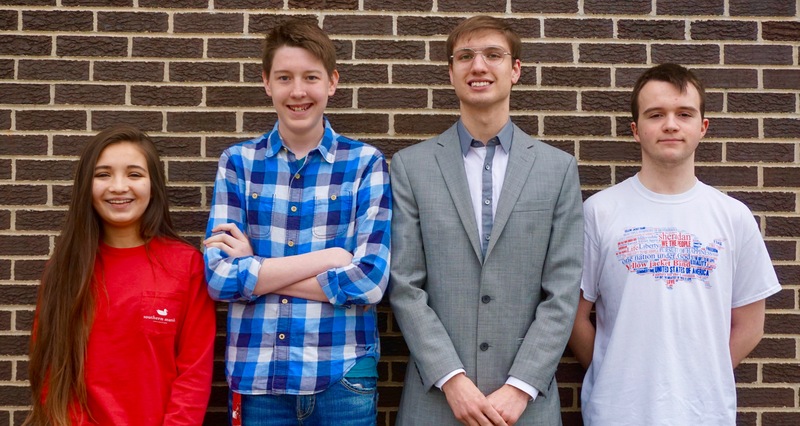 Gabe McDorman, Garrett Red and Holton Smith qualified for Champ International Public Debate Association. Additionally, Catherine Anderson, Jake Cook and Jonathon Jodoin qualified for Novice IPDA. "I am so proud of the entire debate team,” said Twyla Evans, SHS speech and debate teacher. “I know that they have all put forth time and effort to make this year one to remember. They have all worked diligently to grow and develop both as a team and individually. I am looking forward to the future years with those that will return, and I know those that will be graduating soon will be successful in their next chapter of life."